Cacoy Doce Pares UK/Europe promotes and teaches the personal system and styles of Supreme Grandmaster Ciriaco ‘Cacoy’ Canete which include; Korto Kurbada Eskrima, Eskrido & Pangamot. 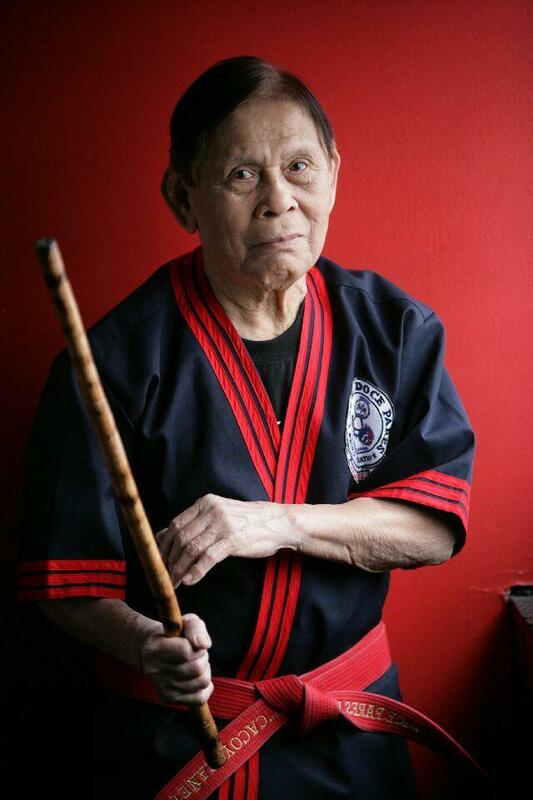 We also teach and promote the original San Miguel Eskrima Spada Y Daga System of Grandmaster Filemon ‘Momoy’ Canete of the famed Doce Pares School located in Cebu City, Philippines and founded in 1932. CDPUK is headed by Grandmaster Anton St’James who is an executive board member of the British Council of Kali, Eskrima, Arnis Instructors (BCKEAI) and founder of Blade Warriors International and Executive Director of No Lie Blades UK. In 2016 GM. St’James was appointed to the Advisory Board of the Cacoy Doce Pares World Federation. GM. St’James started his martial arts journey in 1971 and began training in the FMA in 1979. In the mid 1990 he travelled to the Philippines and began regular training at the Cacoy Doce Pares World Headquarters in Cebu City receiving his 9th Degree Black Belt Certification directly from SGM Cacoy Canete (Certificate No. 6264) on 21st November 2011. GM. St’James is also appointed as the official UK/European representative for the World San Miguel Eskrima Organization under Senior Grandmaster Federico Mendoza Jr. and is certified in the Original San Miguel Eskrima System to the rank of 8th Degree (Red Belt) Senior Master Level. In 2008 Master St’James was inducted into the Doce Pares Hall of Fame held in Cebu City and received the Award for “Best Organisation”. GM. St’James was also awarded “Exemplary Dedication To Doce Pares” in 2010 and in 2014 – Valuable Grandmaster of the Year, at the Doce Pares Hall of Fame Induction Awards. In 2012 GM. St’James was Inducted into the Philippine Martial Arts Hall of Fame and received the Award, International Martial Artist of the Year and in 2014 was appointed UK Country Director to the PMAHOF. GM. St’James is able to offer a comprehensive Filipino Martial Arts training & certification programme for both student and instructor levels, plus seminars & courses anywhere throughout the UK and Europe. The CDPUK/Europe Headquarters are located at Masters Academy, Upper Floor, 174, Rendle Street, Plymouth, Devon, England. With two fully matted and equipped training studios, changing facilities, coffee bar and martial arts pro-shop, the full time Academy has been operational since 2001 and offers a wide range of classes for children and adults of all ages.